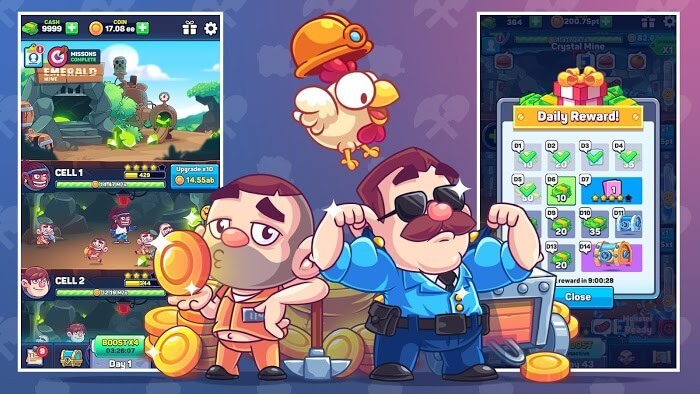 Idle Prison Tycoon is an idle game released by iKame Games. This game is a unique combination of economic development and prisoners, creating a humanitarian story, and the author through which he wants to convey a message. You probably know, prisoners are bad people. But before that, they were once honest and had a peaceful life. We should open up and give them a chance to pay back. Soon Idle Prison Tycoon will describe this story vividly. Are you ready to participate? The amount of crime in the world in recent times suddenly increased. The thieves and bank robberies took place in many areas. Some prisons have also been built, but it seems that it is now impossible to accommodate more prisoners. At that time, there was a billionaire who proposed working inmates. He was opening a large mining plan and needed many workers, and it was these prisoners who were the right choice. Depending on the extent of their crime, they must perform much labor, before being released home, and give the opportunity to turn back in the right manner. 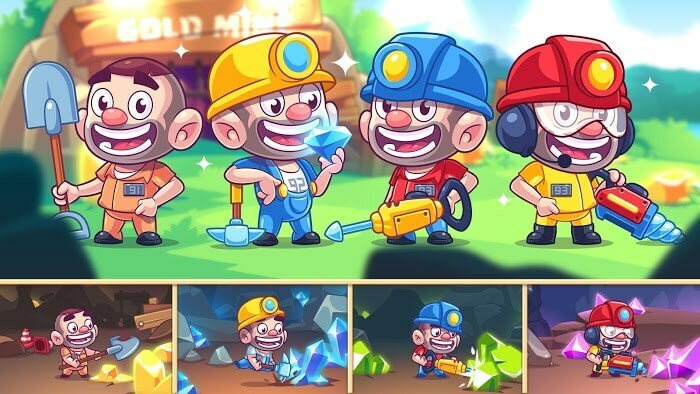 In Idle Prison Tycoon, you will be cast into a billionaire, mining gold and earning a lot of money. 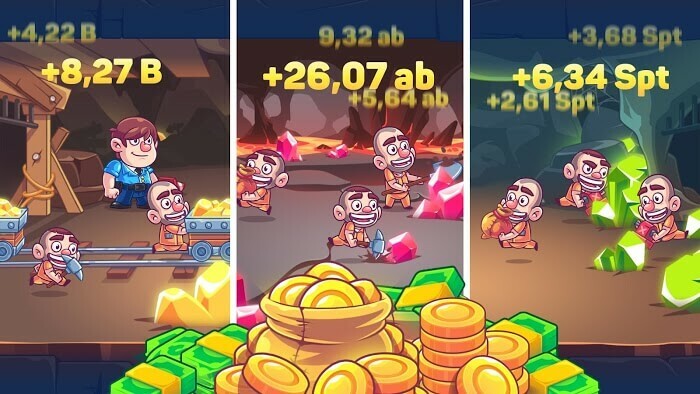 You are in charge of managing prisoners, motivating them to work hard, and then expanding their mining area to dig more gold. Initially, your mine has only one underground floor. After a while when you have enough money, you will open the second basement lock, and hire new employees. Deep basements will have more rare and precious minerals, such as jade, sapphire stone, rubies, diamonds, etc. But when you open up more basements, it means mining. Your cascade is getting bigger, and your workload will be more. If you can’t fully control, consider hiring managers. They will manage your mines, and make your work more convenient. Idle Prison Tycoon has many managers that you can employ, such as Thunder or John Caster. 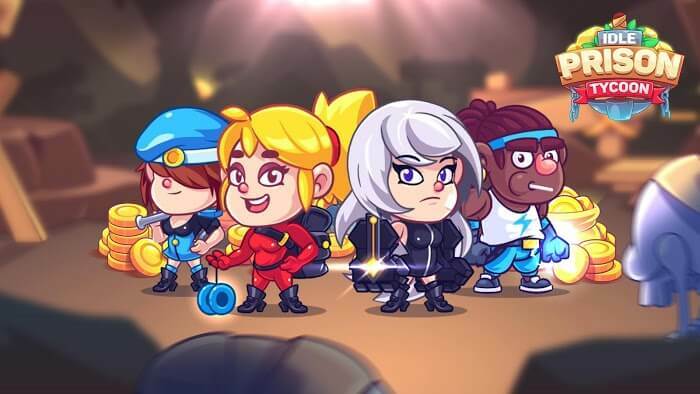 Each of them has unique abilities, taking on jobs in different positions. You can also upgrade them, so they work better. However, your work may also be a bit difficult. Deep underground there are many monsters, and they can eat the workers (prisoners) you are hired to work. You need to hire more security guards to scare away these monsters, not letting them affect your work. Infinite coins (increase with spending) and bucks.